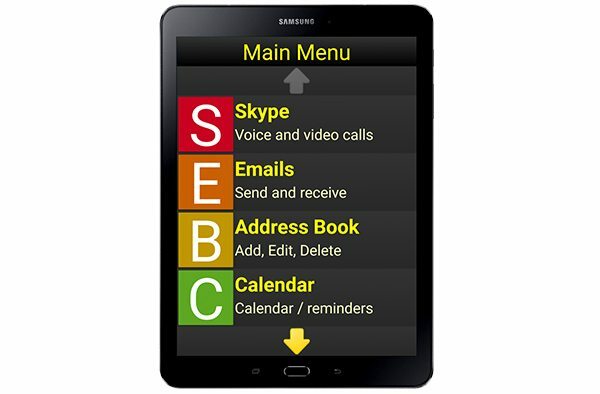 The Mag&Read Tablet is designed to give users complete access to email, web-browsing, address book, calendar and the majority of tablet functions, presented in a large-text, high-contrast and speaking environment that is simplified for ease of use. For less than the price of a handheld video magnifier of equivalent size, the Mag&Read Tablet gives you an HD video magnifier, a document reader and so much more than just a magnifier. Operate the Mag&Read Tablet through easy-to-see, high-contrast, speaking menus (size and contrast color of your choice). The menus are simple to understand and use. If that’s still too confusing, you can even control the Mag&Read Tablet simply by talking to it and telling it what to do. Whatever you want to do on a smart tablet, the Mag&Read Tablet makes it easy and accessible. The Mag&Read Tablet includes a powerful HD video magnifier and reader. It can magnify your reading materials as well as scan printed text and read it back to you aloud. There is also an accessible book reader and numerous other special features for people with visual impairment. You can even watch movies, listen to internet radio and enjoy other options for entertainment. The Mag&Read Tablet is easy to use and accessible to people with vision impairments. If tablets are too difficult to see or too confusing to use, the Mag&Read Tablet, by Synapptic, is designed for you.